Just when you think you know a band or a song, occasionally when placed into a new context, it comes to life in a whole new way. I thought I knew the music of The Pixes but when studying more closely their musical roots and the bands who owe their careers to them, I found myself listening to some very classic songs in a whole new way. Gun Club, Talking Heads, Nirvana, Husker Du, Iggy Pop, Nirvana, Radiohead...they all gain an exciting new context when placed under the header of The Pixies. 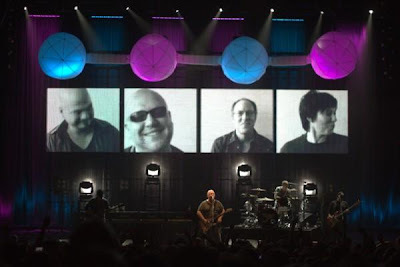 Tonight from 7PM to 9PM on WRIR we will be playing the music of The Pixies as well as their multiple off shoot bands PLUS some familiar songs along side some lesser known bands who all are clearly inspire by The Pixies. You know that whole familiar musical style of massive dynamic shifts from quiet to loud and back again? Well The Pixies pretty much wrote the how to manual for that sound. Listen to us on the dial in Richmond at 97.3 FM or stream us on www.wrir.org. The block of videos above are ALL WINNERS. So good. Envelopes!